For years, Sun Structures has been my go-to album whenever I’ve wanted to manifest a chill-out-and-relax atmosphere. During the entire summer of 2014, no matter where I drove, that album played on repeat in my car. 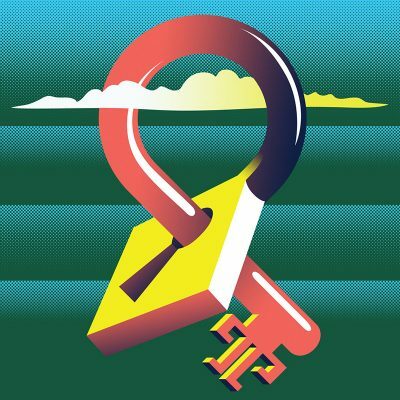 When I heard that the Temples had released their second studio album, Volcano, I had to know what they had in store for their listeners and hoped that I would be just as madly in love with it as I was Sun Structures. Luckily, Temples didn’t disappoint. They have produced another psychedelic adventure, this time incorporating more alternative rock and electronic synth than its predecessor. Volcano is a pleasurable mixture of ’70s kaleidoscopic tunes and magical ’80s soundtracks, leveling up the dreamscape genre in 12 solid tracks. The album starts off strong with “Certainty,” a buoyant song that immediately puts the listener in a happy-go-lucky mood. Once Volcano catches your attention and delivers endorphin-worthy tunes, the album slides into the dreamlike world that Temples are famous for. In fact, a few of the tracks on the album sound like they could easily be incorporated into The Neverending Story, including “All Join In” and “(I Wanna Be Your) Mirror”—and coming from a super geek, that’s a major compliment. Many of the tracks, such as “Open Air,” have a bit of a disco vibe, making it near impossible not to get up and groove while listening. The album is inescapably happy, and many of the songs send you into a hallucinatory mood. “Born Into the Sunset,” for instance, brings its listeners on a visual trip with uplifting vocals, cloud-like imagery and dreamy yet slightly distorted vocals that coin the Temples’ sound. Other tracks, while still lending feel-good vibes, are a bit more serious in their lyrics. “How Would You Go” quickly became one of my favorites, with James Bagshaw singing, “How would you like to go? Would you want to know? Would you like to know? … All the strangers walk by / All the strangers passing by.” The beginning of “In My Pocket” seems like it will be the cutest love song you’ve ever heard: “I want to put you in my pocket / Put you in my pocket each day / And watch the clouds.” But it eerily twists into a darker mood: “We are the empty people waiting / Empty people waiting for love.” The Temples have a fine way of combining honest lyrics with upbeat music. Volcano guides its listeners through an introspective journey, be it pleasant or confronting, while still lingering in a phantasmal world that the Temples have created. Interestingly, even with lyrics that discuss misfortune and loneliness, the songs never feel depressing due to the musical quality and tone of each track. Instead, the lyrics ask their listeners down-to-earth questions, allowing for deep thought without the misfortune of feeling bogged down by internal emotional warfare.